In each of these races principled conservative candidates have brought underfunded grassroots campaigns within striking distance of liberal House allies of Barack Obama with little or no support from the National Republican Congressional Committee. CHQ has endorsed each of these candidates and we urge you to do everything you can between now and when the polls close on Nov. 4 to get-out-the-vote for Dan Bongino, Marilinda Garcia and Suzanne Scholte. 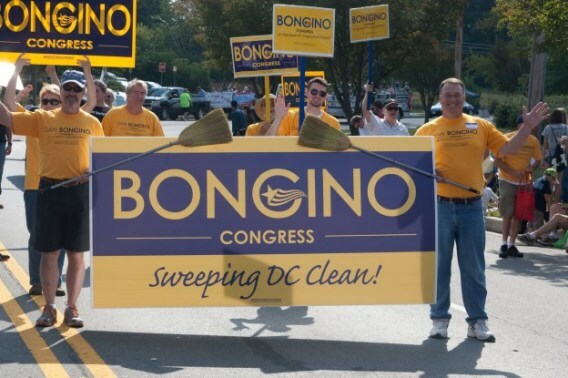 Now is the time to force a conservative mandate on the Republican Party’s reluctant leaders by making sure that Dan Bongino, Marilinda Garcia and Suzanne Scholte go to Washington to stand against the radical liberal agenda of Barack Obama and his liberal allies in the House. Submitted by bobmann101 on Tue, 11/04/2014 - 12:43. Even if the GOP wins the majority of the races I do not expect to see any changes. Politicians have the what is in it for me attitude.